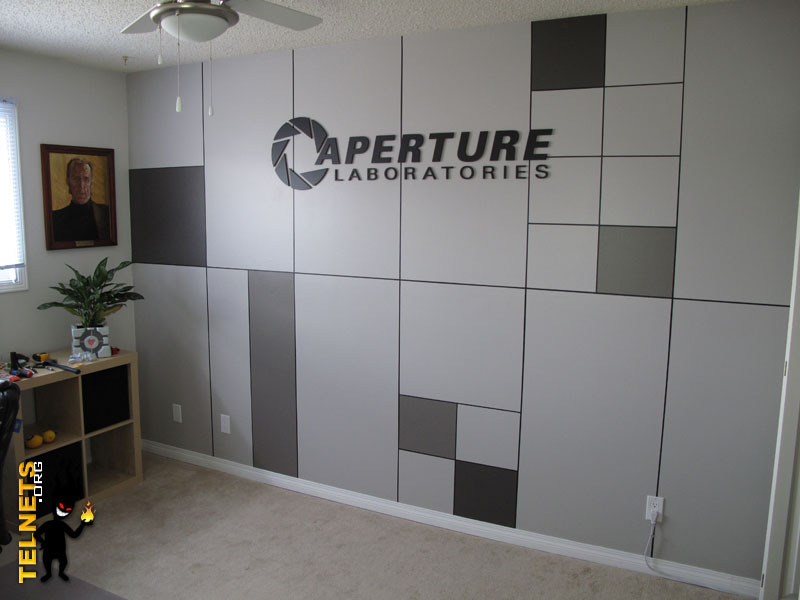 A man with time on his hands and a deep affection for Portal has turned his computer room into a gorgeous Aperture Science office. 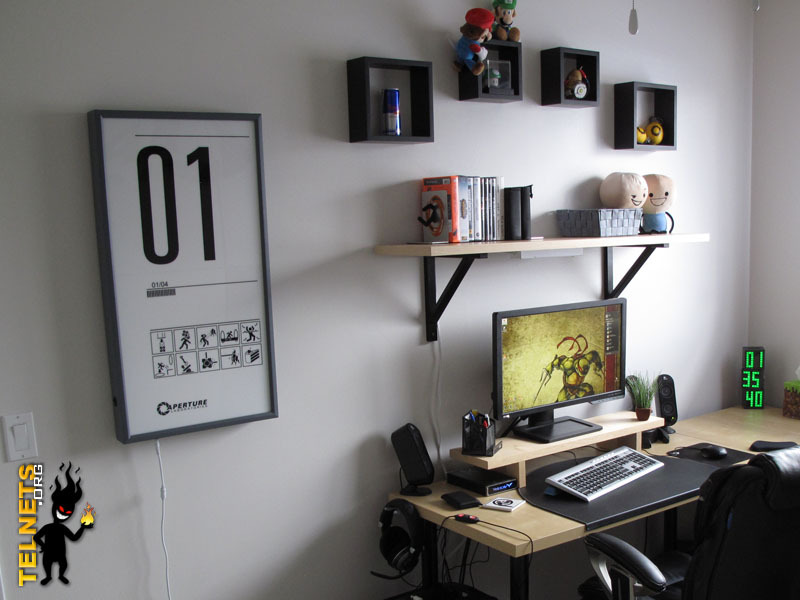 I love a good DIY project, and this "Portal room project" is a very good one indeed. 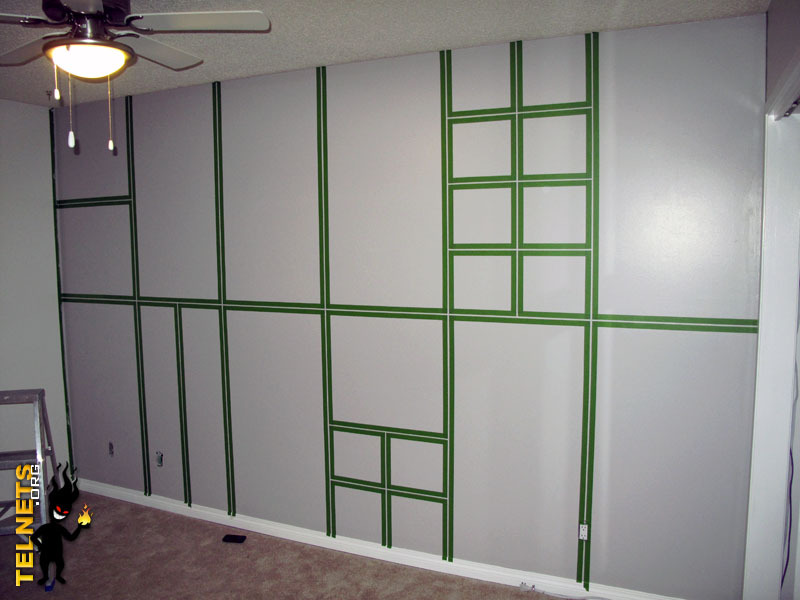 The builder, a man by the name of Adam, purchased the house about three years ago but left the computer room a dull beige because he couldn't decide what color to paint it. Then it occurred to him that he owns the joint, so he can do whatever he wants with it. Why just paint it? 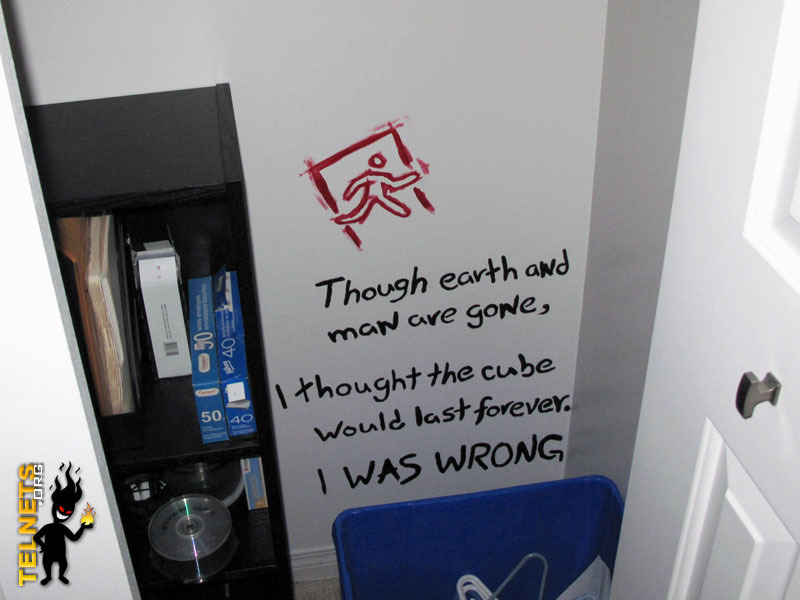 Instead, he set to work turning it into a full-on Aperture Science office. 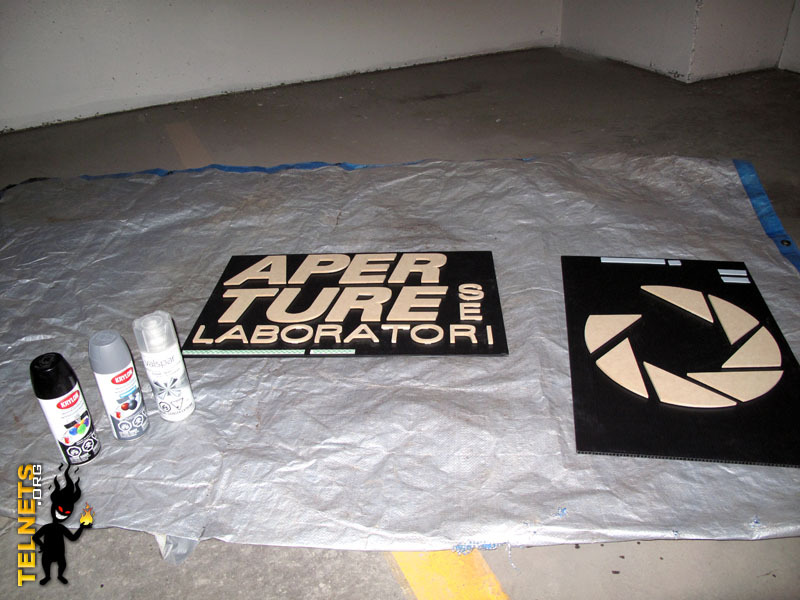 First up was the panel wall, which isn't actually made up of panels at all but is actually just a carefully blocked-out paint job, and a big Aperture Science logo custom-cut by a local sign-making company and mounted with double-sided tape. 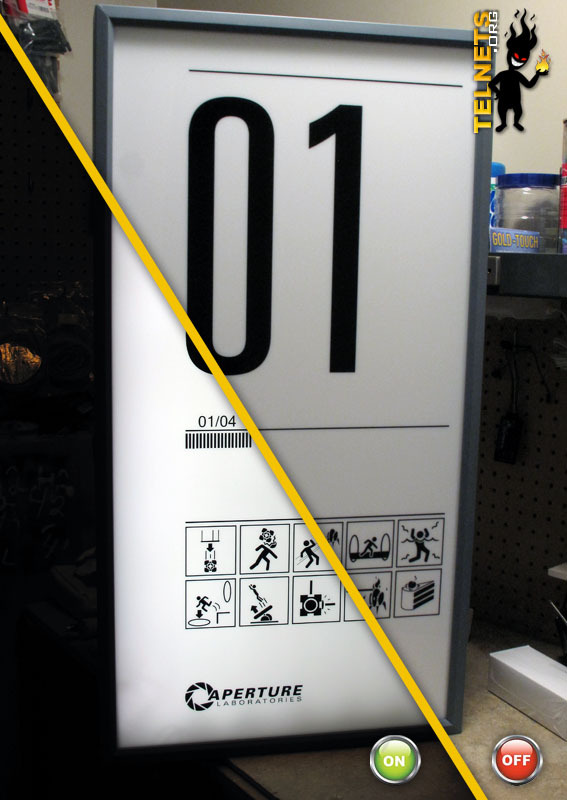 The lighted "test chamber" sign is actually a modification of a similar fan project he discovered on the net, scaled down and built for about half the price, and of course a couple of lemon grenades, made from parts taken from real grenades acquired at a local army surplus store, adorn the shelves. There's even a nod to the Rat Man, right where you'd expect it - in the closet. 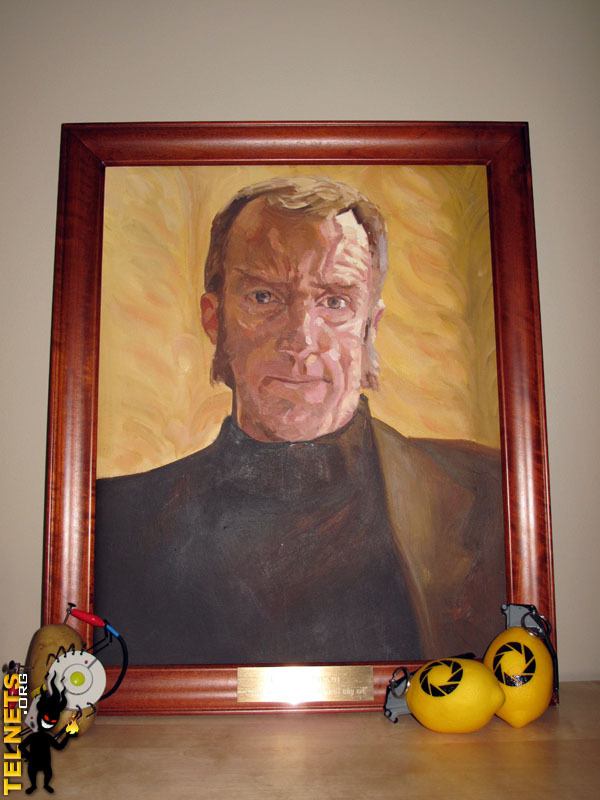 But the piÃ¨ce de rÃ©sistance is the original, "real" oil painting of Aperture Science CEO Cave Johnson, courtesy of a guy on the internet "who specializes in turning any photo into an original canvas oil painting." 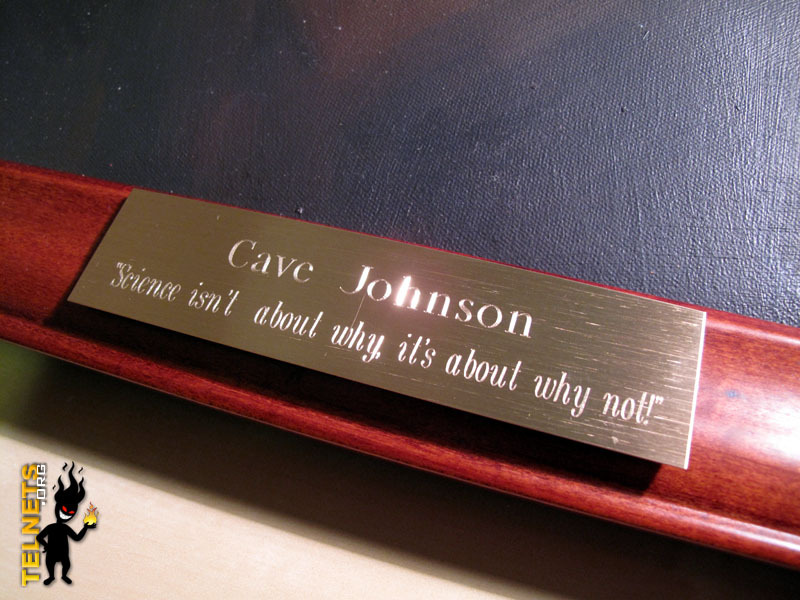 The painting was mounted in a 16x20 frame picked up on the cheap, with an engraved, brushed-gold plate bearing a famous Cave Johnson quote - "Science isn't about why, it's about why not!" 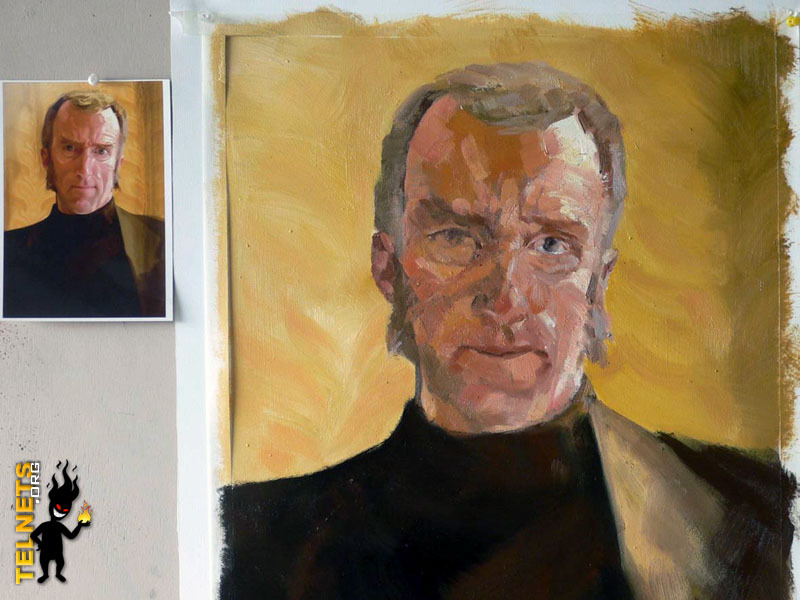 - completing the look. The net result is brilliant, and surprisingly inexpensive. 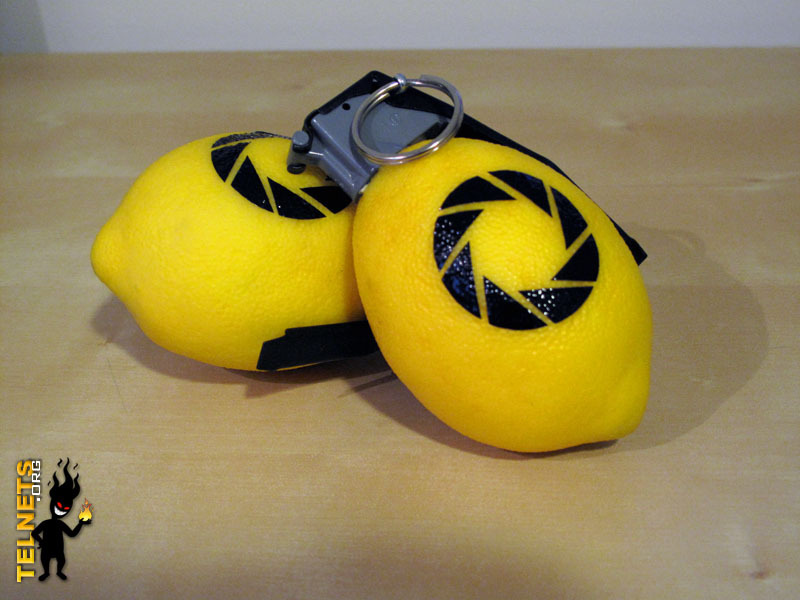 The paint job was $142, the test chamber sign was $95, the oil painting was $105 plus shipping and the lemon grenades were about eight bucks each. Not bad at all for digs as fine as this.